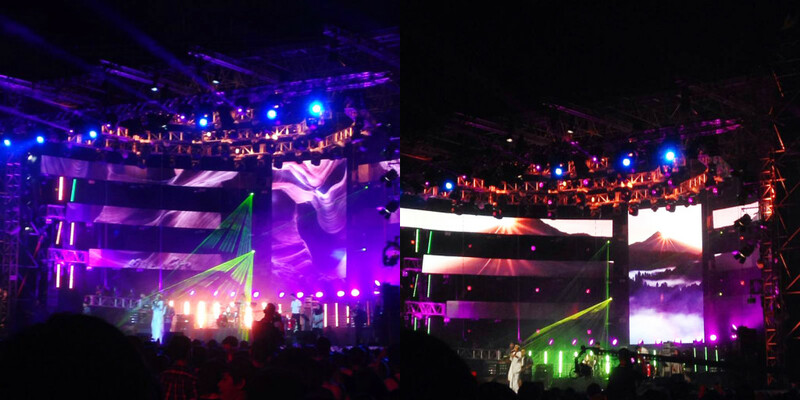 We had a blast over the weekend at MTV World Stage Malaysia 2014 (#worldstageMY), held at Surf Beach, Sunway Lagoon on Saturday, 16 August 2014. Back for the sixth year running, this year’s music line-up featured 4 international artistes of different genres, cultures and music from around the world – Thaitanium, Boys Republic, Yuna, and international hip hop rapper B.o.B, to an audience of over 10,000 fans. Thai-American hip hop group Thaitanium, comprising the five sons of Siam – Khan, Way, Day, Big Calo, and Tony B, opened the night with a medley of tracks, a bang, and a burst of confetti, pelting down like a sea of raindrops across the stage. Their songs “Do What I Say”, “Bong Tong”, and “Sukebe” also kicked off the party to a great start – with endless moshing and tons of energy around in the blue lagoon (pun intended). Their new single, “Wake Up (Bangkok City)” feat. Snoop Dogg, also debuted for the first time that night, only (just for a little fun), the song debuted as “Wake Up (KL City)”. Up next was Universal Music Group International’s first K-pop idol group, Boys Republic, who made their MTV World Stage debut opening with their hit, “You Are Special”. With their flawless looks and metro Korean style, Boys Republic charmed K-pop fans and fashionistas alike with synchronised dance moves (take it from us – it was like watching a music video on stage) and impromptu #selfies between songs. When Yuna glided onto stage, the moshing stopped and the audience watched transfixed by the melodies of the Malaysian Homegrown international singer-songwriter as she weaved through “Mountains” and “Lelaki”, with the stage backdrop completely transformed into another world altogether – featuring ethereal mountains and waterfall pyrotechnics and dazzling colour swirls. Yuna enticed with her other songs, “Dan Sebanarya”, “Lights and Camera”, “Terukir Di Bintang”, “Rescue” (with her ukulele), and finally ending off with “Come Back”. Saving the most upbeat songs for the last, award-winning Billboard Hot 100 hip hop singer-songwriter and record producer, B.o.B, revived the audience’s energy after their dose of Yuna, with tracks like “Ready ft. Future”, “Don’t Let Me Fall”, and “So Good”. The crowd erupted into applause at the world famous start of the song “Nothin’ on You” (….Beautiful Girls… all over the wo-o-rld…). It was a major moodshift towards the end of the night with a soulful performance of “Both of Us” (song feat. Taylor Swift) and finally “Airplanes” (song feat. Hayley Williams), dedicated to those who had lost their loved ones in the recent MH plane tragedies. B.o.B finally ended the night with his finale song “Still In This”, lighting up the stage with hundreds of multi-coloured LED balloons. Lets not forget MTV VJ duo Alan and Hanli, who hosted the event and entertained the audience with their impromptu #selfies and humour in between shows. Turns out, getting up close and personal with B.o.B didn’t turn out as we envisaged – at all. We expected full blown rapper persona, possible expletives, semi power-distance – we got none o’ that. B.o.B was surprisingly down to earth and extremely candid in conversing with the audience. With a quirky sense of humour and the ability to turn every serious question into a joke, B.o.B created a jovial and almost casual, lighthearted atmosphere for everyone, occasionally causing a ripple effect of laughter within the small press room. B.o.B. shared on his selection process of randomly picking people from the audience in his shows – in case you were wondering, he has less than 8 seconds each time on stage to pick someone and barely has time to scout for “cute girls”. He hates watching himself on interviews as he “dislikes his voice and he doesn’t like how it sounds – kind of annoying to him” (which is pretty ironic). On his collaborations with different genre artistes from T Pain to Hayley Williams to Future and recently to Taylor Swift, B.o.B muses that the creative process is different with all of them and how working with each artist is different. He also showed his appreciation for the audience and fans he had in Malaysia – “really glad to be on the other side of the world, and have so much love and support”. We got lucky and managed to squeeze in a cheeky question to him. When asked which song or song lyrics he would tattoo on himself if he absolutely had to, it wasn’t too difficult to guess his answer, which was the practical approach – “the shortest one…” before continuing with telling us that he’d choose ‘I’ll Be In The Sky’ which he feels “speaks for everything – my (his) whole career”. 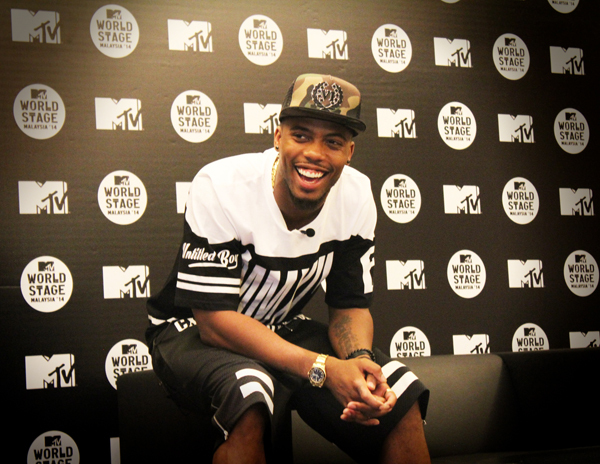 MTV World Stage Malaysia 2014’s full show premieres on Wednesday, 20 August 2014 @ 6.30pm (WIB), 7.30pm (SG) and 8.30pm (MAL); Friday, 29 August @ 10pm (PH). Prev post Lunchtime Steak Loving and the Holy Grail of Mac & Cheese at Bedrock Bar & Grill Next post Has Instagram Changed The Way You Think, React, and Interact?